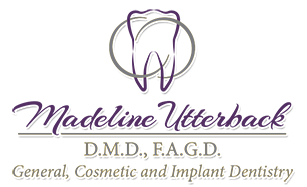 "After my dentist of 20+ years retired I was fortunate enough to be directed to Dr. Utterback. I would highly recommend her to anyone looking for a caring and service oriented dentist. Tops in my book." "Dr. Utterback and her team are wonderful. They are all very knowledgeable and professional. From basic checkups to other dental procedures, they do a thorough job. They take the time to explain everything and answer any questions. Most important, they really care about their patients and make sure every visit is a comfortable and pleasant experience. " I would highly recommend Dr. Utterback. She has the highest degree of professionalism and thoroughness. She always takes her time and explains every situation to you.